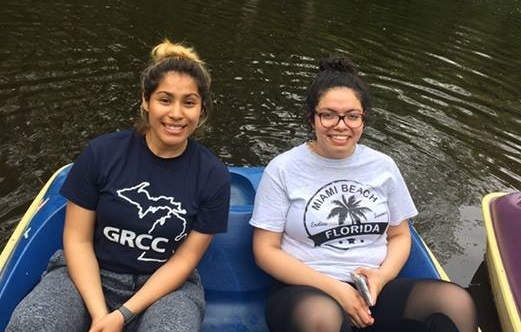 Meet Montserrat Guzman (left), the CARP Grand Rapids Community College (GRCC) Vice President! Montserrat is a third year Criminal Justice student at GRCC. She has been with CARP Grand Rapids since it was established at GRCC. She decided to get fully involved after attending May’s 2018 Unification Principles retreat, hosted by CARP for the Midwest region. 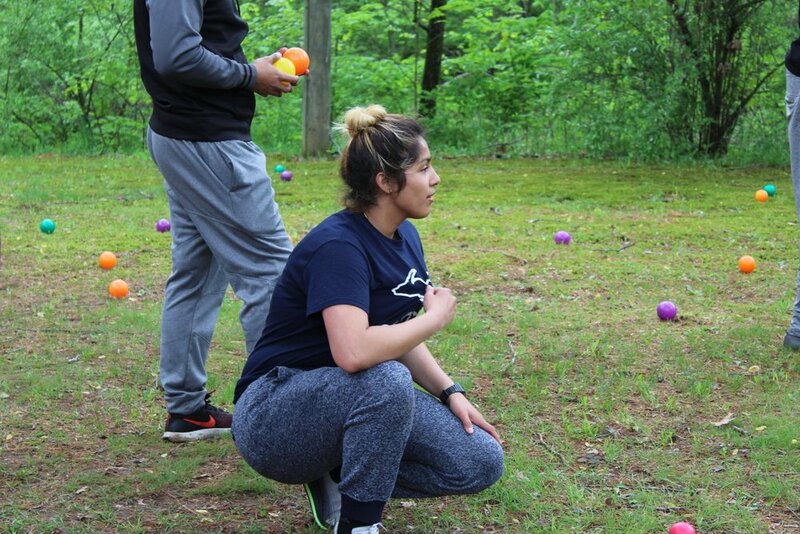 In that retreat, she reported she found people she could trust and a family that she wants to be part of. Montserrat (middle) with her group during the Michigan CARP retreat. For her, CARP is the place to be. Montserrat enjoying sports with other CARP members at the retreat. Currently, beside being CARP Vice President, Montserrat is also the president of the Criminal Justice club. She makes the transition effortless between the Criminal Justice Club and CARP. She’ll easily talk and promote either club with passion. Montserrat (second to the left) with her Criminal Justice Club crew. She brings a wider perspective and a lot of creativity to the CARP team. Although we would love to keep her in CARP forever, we are looking forward to see what change she’ll make in our community with the CARP Unification Principles. Montserrat (right) and her friend Denis (left), who she brought to CARP. Join CARP Grand Rapids’ meetings on Wednesday 5:00pm-6:15pm in the Multipurpose Room, Student Center Building. Follow them on Facebook. Contact jennifer@carplife.org to share your story. Help more students like Monsterrat find family, purpose, and hope by donating today! Older Post Utah CARP on the Rise: Summer Retreat!